The Enchanted Storybook Castle at Shanghai Disneyland is truly massive. 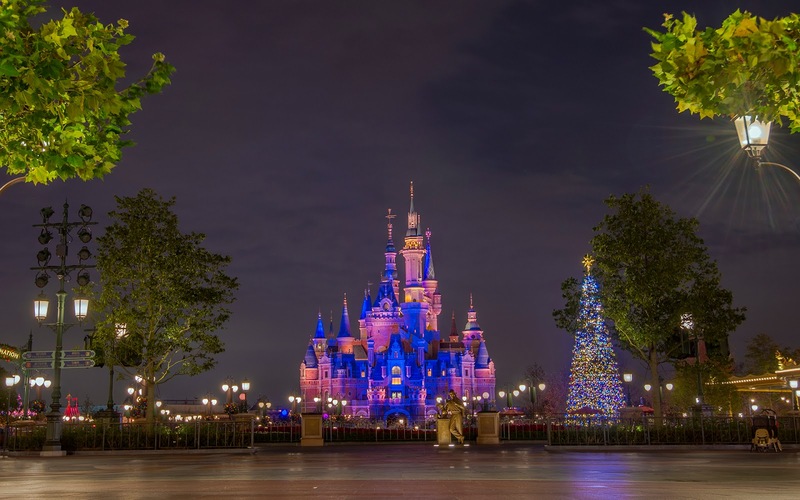 It's the largest Disney castle ever constructed, towering nearly 200 feet in the air, occupying a sprawling footprint that even houses part of a dark ride. From a distance, it's the ultimate icon--visible from so many angles around the park. But it's the straight on approach that offers the most dramatic look. While I don't think the front facade is quite as beautiful as Disneyland Paris' Sleeping Beauty Castle, it's still certainly imposing and memorable. 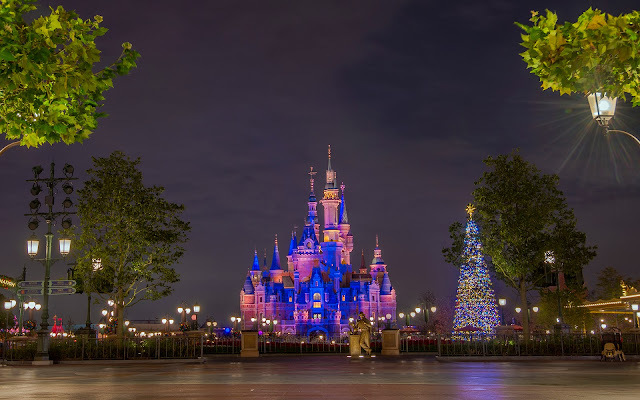 The Enchanted Storybook Castle towers in the distant over a holiday Christmas Tree in the Gardens of Imagination and the Storytellers Statue at the end of Mickey Avenue.